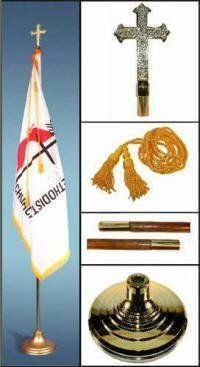 AmericanFlags.com features a wide variety of indoor and outdoor United Methodist flags in several sizes, styles and materials. All are designed to highlight Methodist pride and are perfect for any setting or occasion. 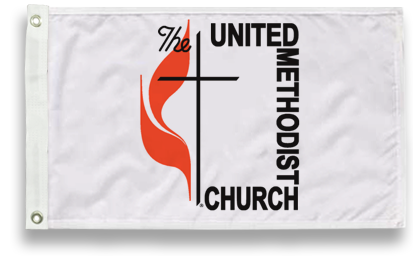 The insignia on the United Methodist Flag was designed in 1968 by Edward J. Mikula on behalf of the United Methodist Church. The insignia incorporates a cross and a single dual flame, conveying warmth, while also symbolizing the merger of the United Methodist Church and the Evangelical United Brethren Church. The cross and the dual flame are also thought to represent Christ and the Holy Spirit. 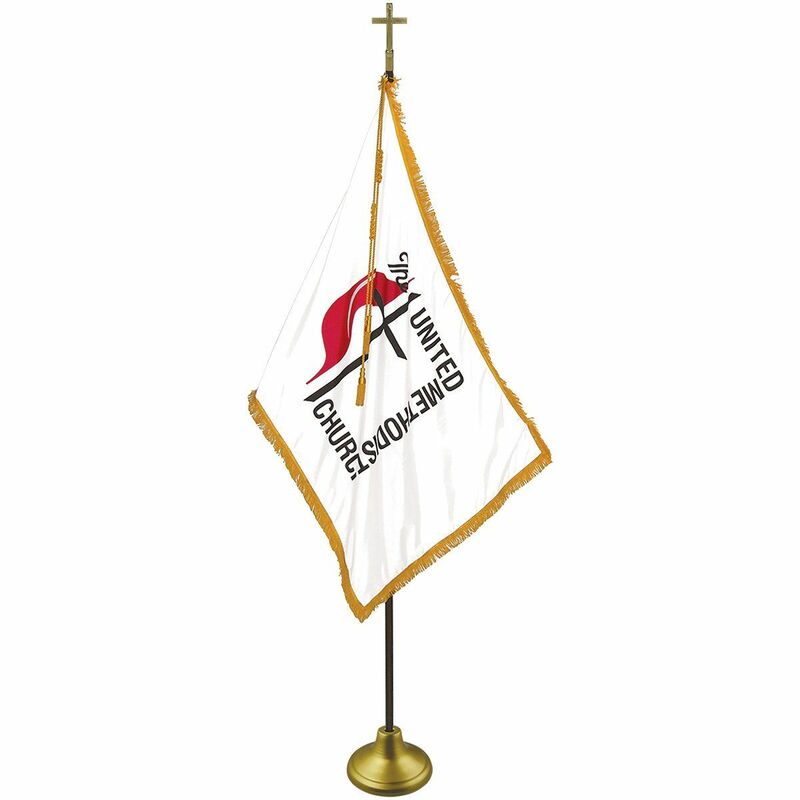 The official United Methodist flag features the words "The United Methodist Church" on a pure white background with the insignia cast in red and black.